Are you anticipating Spring as much as I am? Today I wanted to show you this great H&M cropped duck printed top. The fabric on this top is lovely, very heavy, great quality with gorgeous colours, and guess what? It's under forty dollars. You will also notice that I have an amazing headband on, you will be seeing a lot more of this item because it is the most comfortable headband I presently have in my collection. You can find it here at Gina Made It, this is company based out of New York City, and founded by Gina, who makes the loveliest headbands, hair bun bows, and many other hair accessories. I have completely fallen in love with Gina's product. I will post more about these fantastic headbands tomorrow in my Tuesday Try This series. 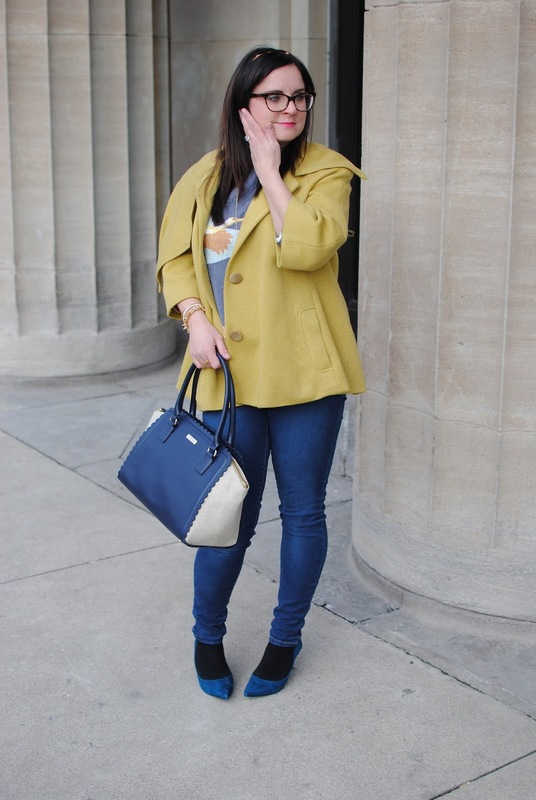 The yellow coat in this post (I am sure you've seen before if you follow the blog regularly) is one my favourite coats. I bought this coat at Anthropologie when I was pregnant with my son. The mustard colour and swing style make this coat a real statement piece while remaining very classic. 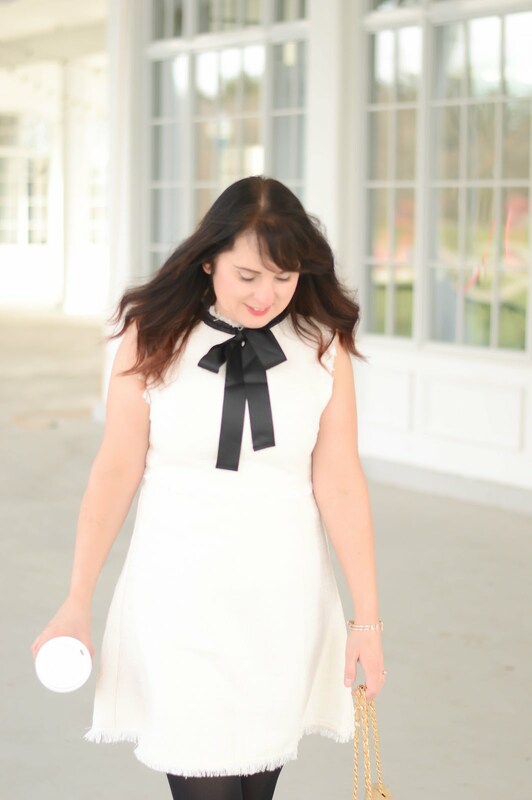 The Kate Spade bag in this post, was a true steal after Christmas at the outlet store in Niagara Falls, New York, and to make it even better my mom purchased it for me (yes my mother is the best!). Will you try a headband from Gina Made It? Would you like to see a giveaway with a headband or accessory offered as a prize?